Serragia airfield (French: aérodrome de Serragia) was an airfield on the northeast coast of Corsica. Serragia was a part of the USS Corsica group of airfields. After the forced withdrawal of German forces from Corsica in September 1943, the airfield was taken by 451 Sqn RAAF in early 1944. This move was very popular with the squadron's pilots as it gave them an opportunity to participate in offensive action. Their role was to support Allied operations in Italy and southern France by escorting bombers and conducting armed reconnaissance patrols. They flew their first operation from Serragia on 23 April and engaged German fighters on a number of occasions. In June 1944, The Australians left for Poretta and elements of the Twelfth Air Force 57th Bombardment Wing were moved to the airfield in preparation for Operation Dragoon. 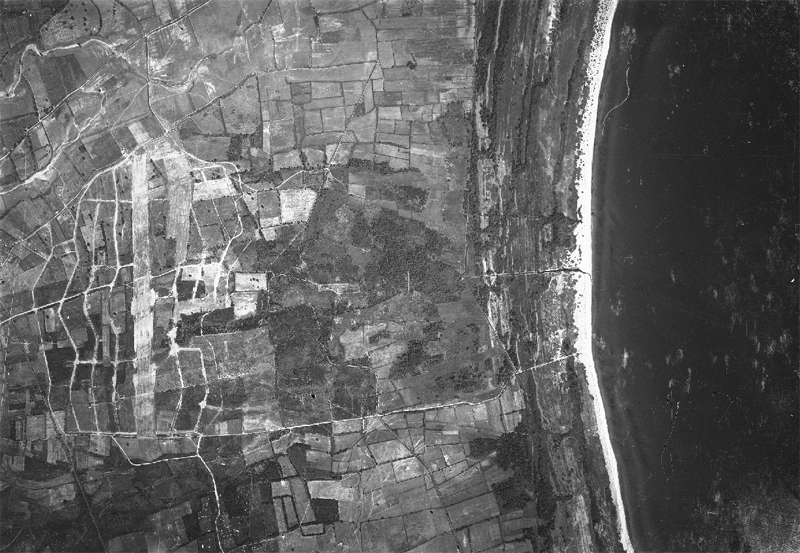 Serragia airfield was taken over by the USAAF and used as a forward-base of operations for B-25 Mitchell bomber attacks against northern Italy and Southern France, in support of Operation Dragoon, the invasion of Southern France. June 1944. A Supermarine Spitfire IX aircraft of No. 451 Squadron RAAF is moved by airmen back to its dispersal bay after servicing at Serragia airfield in Corsica ( Australian War Memorial, used with permission). June 1944. A Supermarine Spitfire IX aircraft of No. 451 Squadron RAAF is prepared by airmen for engine run up after completion of servicing at Serragia airfield in Corsica. (Australian War Memorial, used with permission). June 1944. A mobile workshop used by fitters in servicing aircraft in the dispersal bays at No. 451 (Spitfire) Squadron RAAF at Serragia. (Australian War Memorial, used with permission). The USAAF units remained on Corsica until early 1945 when enemy targets became out of range of the Mitchells. 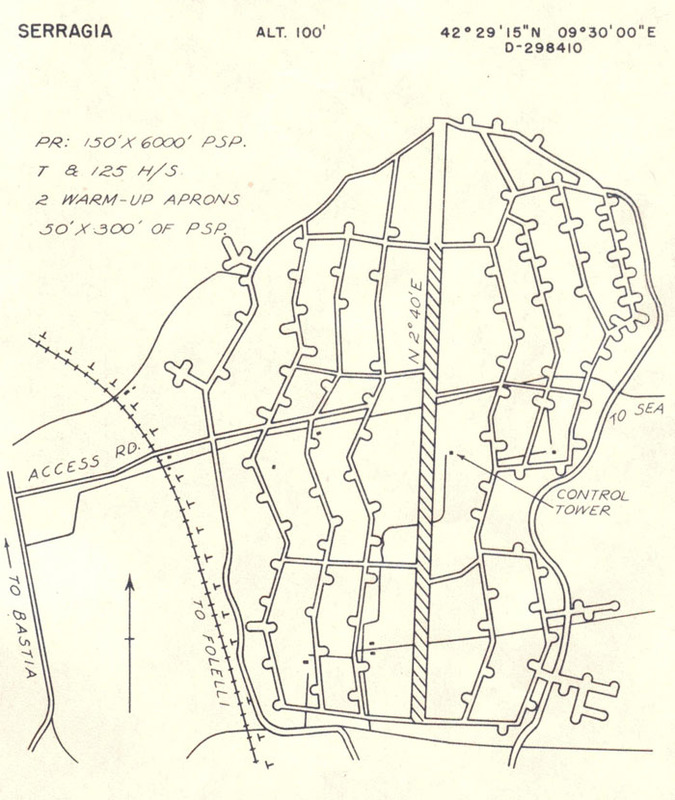 The airfield was closed by the Americans on 25 January and dismantled after the war. Today there are little or no remains of it other than the remnants of its main runway and disturbed areas where the airfield once was.